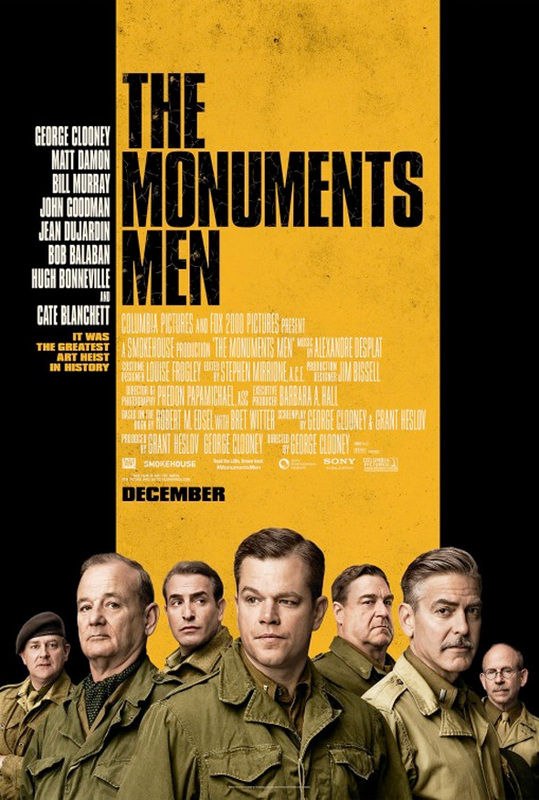 Following the stellar first trailer for the pseudo-Ocean's 11 in World War II, the first poster for George Clooney's new historical drama The Monuments Men is here. It's not the most compelling poster for a film, but it certainly uses the power of the impressive cast to get audiences interested. It's hard to find a better cast than George Clooney, Matt Damon, John Goodman, Bill Murray, Jean Dujardin, Cate Blanchett and more. We just wish there was a little more indication of what this film was about on the poster. It could've easily featured some of the art these soldiers are tracking down, but there's just a stripe.